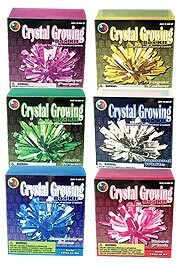 Grow a beautiful crystal with this low cost crystal-growing project. 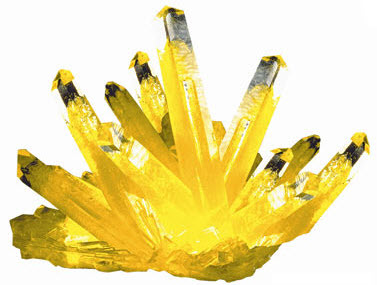 Dissolve crystal chemicals in water and watch your crystal grow! 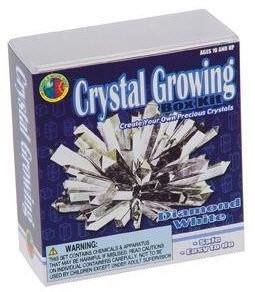 Includes everything you need to grow your crystal. For ages 10 and up. A crystal is a solid that is made up of small, regular 3-D shapes. The chemical bonds of a crystal are very ordered and join together at regular angles. The shapes of crystals vary, but can be grouped into seven systems: Cubic, tetragonal, hexagonal, rhombohedral, orthorhombic, monoclinic, triclinic. After you have grown your crystals, see if you can identify to which system they belong. We will do our best to send you your selected color of the crystal kits. Availability varies. Crystal Growing Tray with Lid.